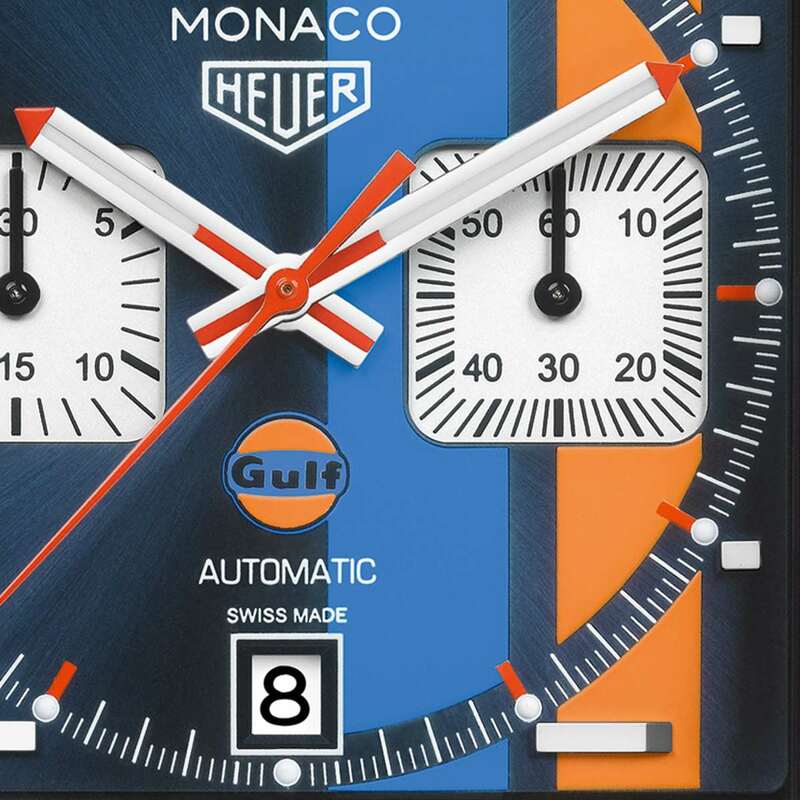 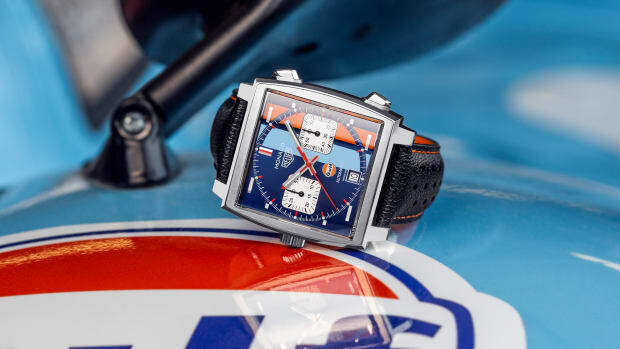 To celebrate the 50th anniversary of Gulf Racing, Tag Heuer is releasing an absolutely sizzling special edition Monaco timepiece clad in the iconic blue and orange striping. 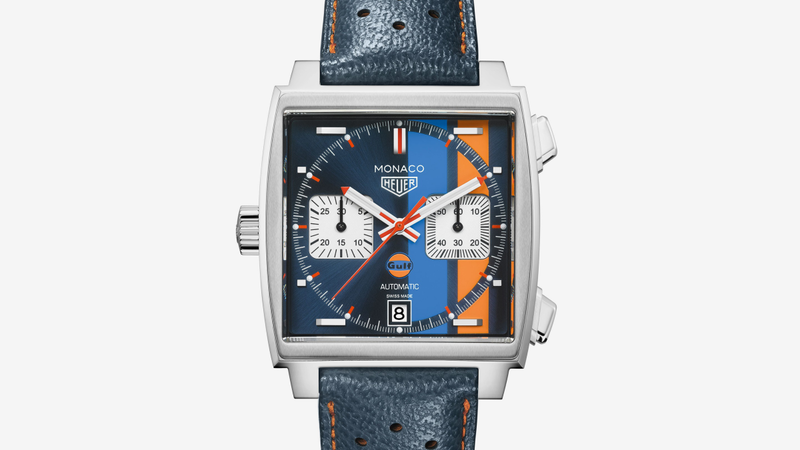 Housed in a 39mm stainless steel case with a Calibre 11 automatic movement and matching blue leather strap with contrast orange stitching, this is a sharp and stylish square shape timepiece for the motoring-obsessed set. 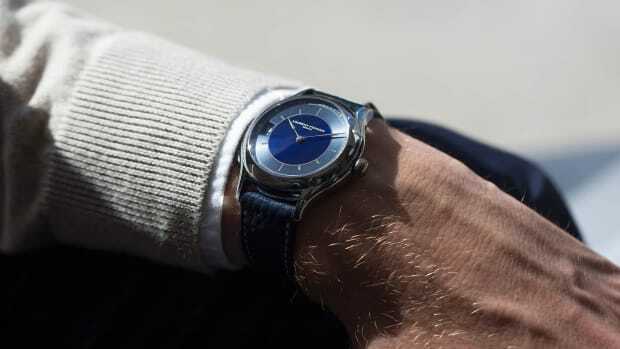 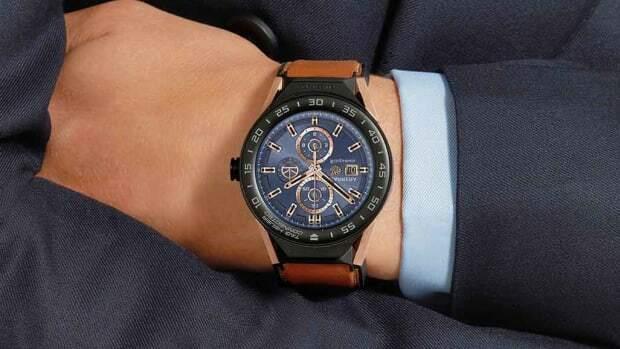 Only available in the United States, the watch can be pre-ordered online for $5,900.